AIM is a media-rich, cross-age buddy program designed to promote social, emotional, and character development in elementary school students. What is in this new collection? 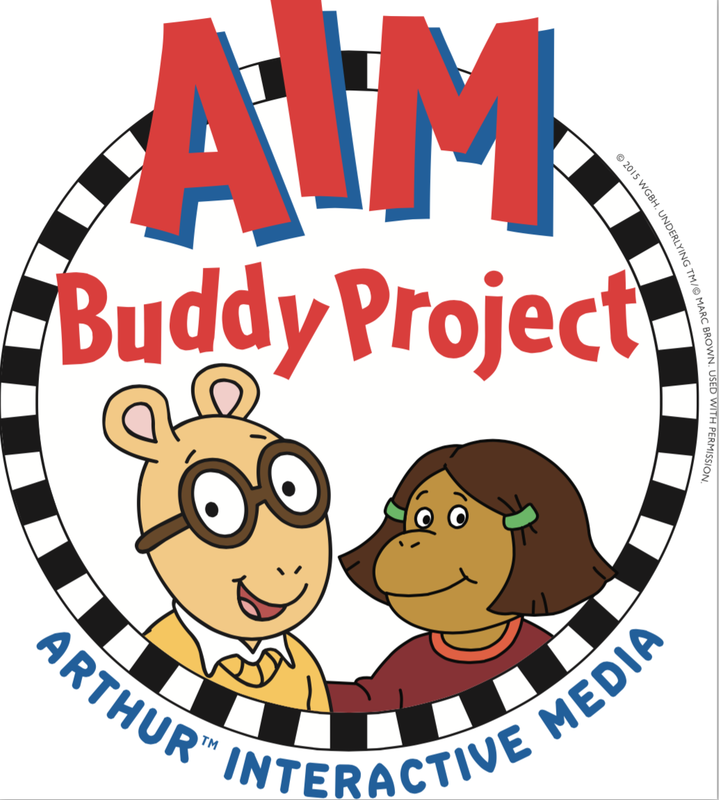 The AIM Buddy Project supplemental curriculum includes teacher training videos and interactive stories and games based on PBS’s award-winning ARTHUR series that allow students to interact with characters, explore multiple perspectives, and consider the impact of actions. 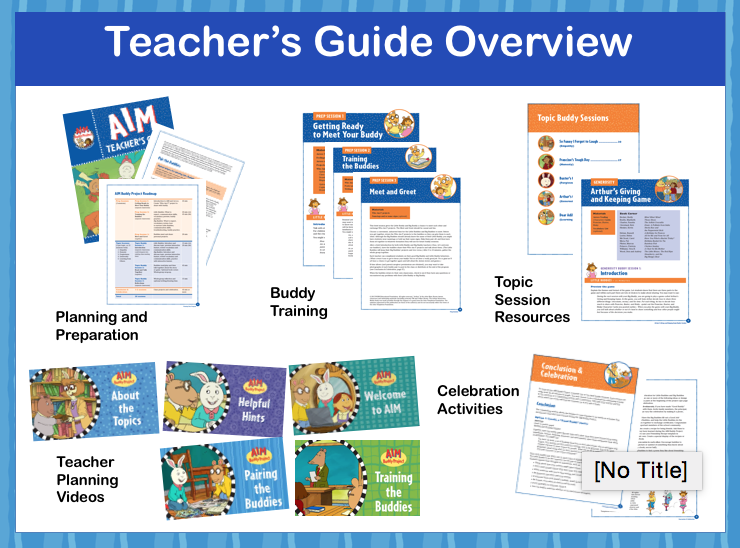 Also included is the comprehensive AIM Educator’s Guide, embedded with planning videos and step-by-step instruction and support to gu ide educators through planning and implementing each of the 20 classroom sessions in the AIM program. 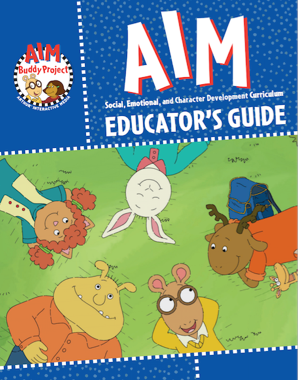 Go to the free AIM Buddy Project Collection at PBS LearningMedia. 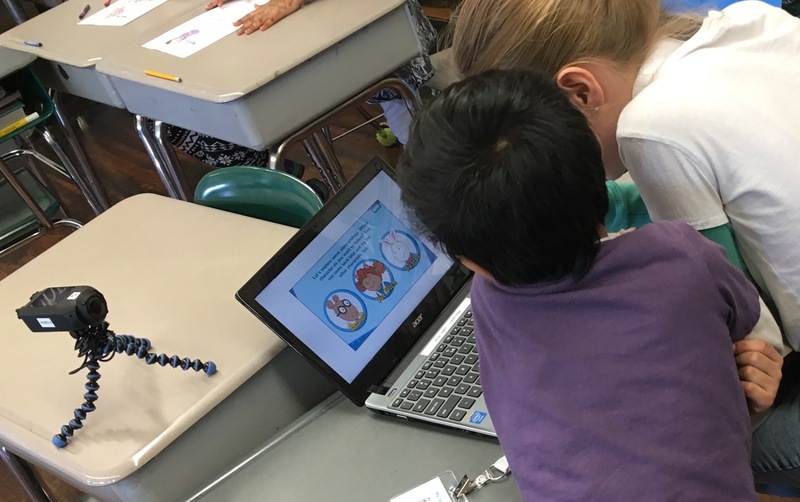 AIM Buddy Project gives educators the opportunity to use interactive media to supplement their existing curricula and encourage students to dig deeper into important topics that foster their social, emotional, and character development. The AIM curriculum also offers students additional practice and reinforcement to help them grasp topics that are sometimes difficult, such as honesty and empathy. 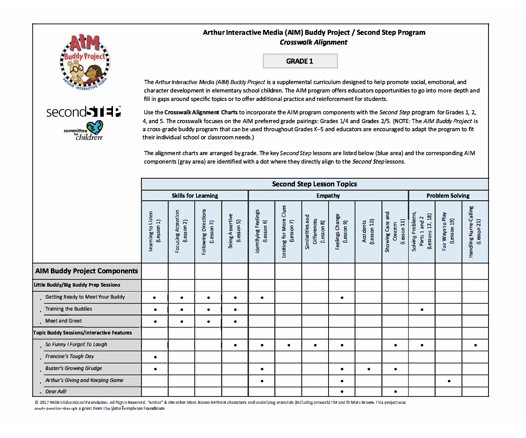 To help make the educator’s task of merging the AIM program with existing curricula, we are pleased to have partnered with teams from the following preeminent organizations to create Crosswalk Alignment Charts that specifically merge the AIM Buddy Project to specific areas in these existing programs. 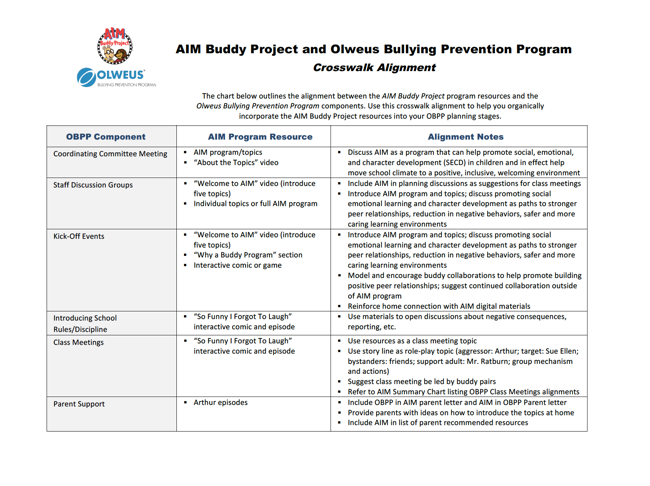 Olweus Bullying Prevention Program (OBPP) Crosswalk Alignment Charts. OBPP is a comprehensive program focused on long-term change that creates a safe and positive school climate. The program is implemented in more than a dozen countries and in thousands of schools in the United States. Second Step Program Crosswalk Alignment Charts. CFC is the world’s largest provider of research-based educational programs that promote social-emotional skills and prevent. Today the Second Step curriculum reaches schools in over 70 countries, including 30 percent of all U.S. elementary schools. Each year, more than 10.6 million children benefit from this program. Open Circle Program Crosswalk Alignments Charts are in development and will be available in March 2017. 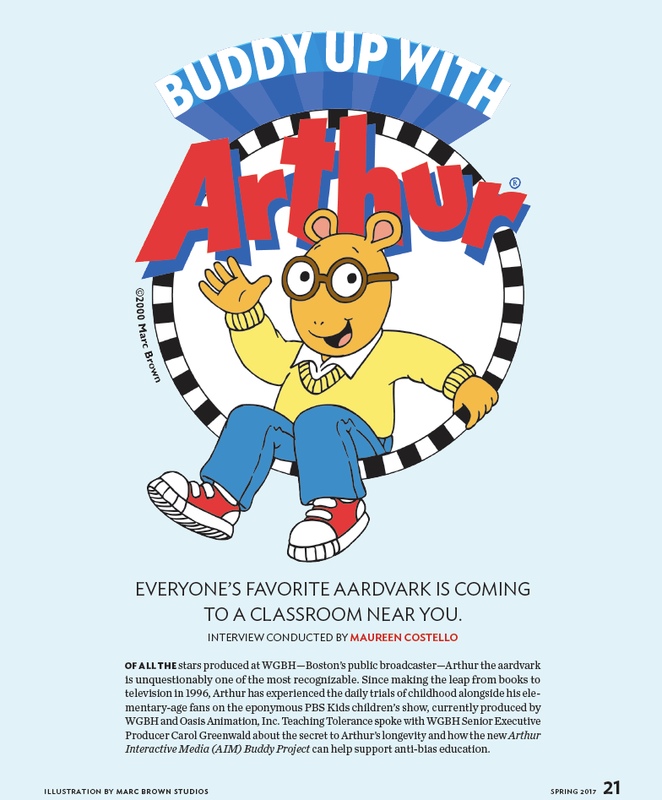 In the feature article titled “Buddy Up With Arthur: Everyone’s Favorite Aardvark is Coming to a Classroo m Near You”, Carol Greenwald talks about the secret to ARTHUR’s longevity and how the new ARTHUR AIM Buddy Project can help support anti-bias education in classrooms. 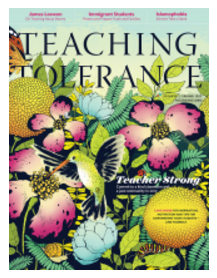 Teaching Tolerance, founded in 1991 by the Southern Poverty Law Center, is considered a national leader in anti-bias and anti-bullying education and has been a sought-after authority on trends in civil discourse in schools for educators, parents, and journalists. With Teaching Tolerance Magazine’s circulation reaching over 450,000 educators, this opportunity ensures the AIM Buddy Program will reach far and wide! Does participation in the AIM program increase indicators of interest, such as values in school, student self-ratings of social, emotional, and character-related attributes, and decrease instances of bullying? The AIM research study involved the three following conditions: 1. Schools receiving the AIM program training and materials; 2. Schools receiving the Martha Speaks Reading Buddies Program training and materials; 3. Schools continuing their existing curricula “as-is”. Students from all three conditions were given a survey of questions to fill out before and after participating in the programs. An encouraging outcome from the survey was that students participating in the AIM schools selected the value “to be a good person” more than any other value listed. This pattern was only found after participation in the program (at post-test), and not before (at pre-test), and not among students in the two other conditions. Positive outcomes from our rich qualitative data collected before and after implementing the “So Funny I Forgot To Laugh” interactive comic showed an increase in how students understood the topics. The interactive comic’s focus on perspective taking and recognizing the feelings of characters in the comic likely resonated with the students, as well as the speech bubbles used so children could see what the characters were thinking and feeling. Speech bubbles throughout the interactive story help buddy pairs see how characters, like Sue Ellen, are feeling about Arthur’s actions. Ongoing analyses will continue to analyze the data to better understand which students, from which backgrounds, and from which classrooms were most affected by the program. 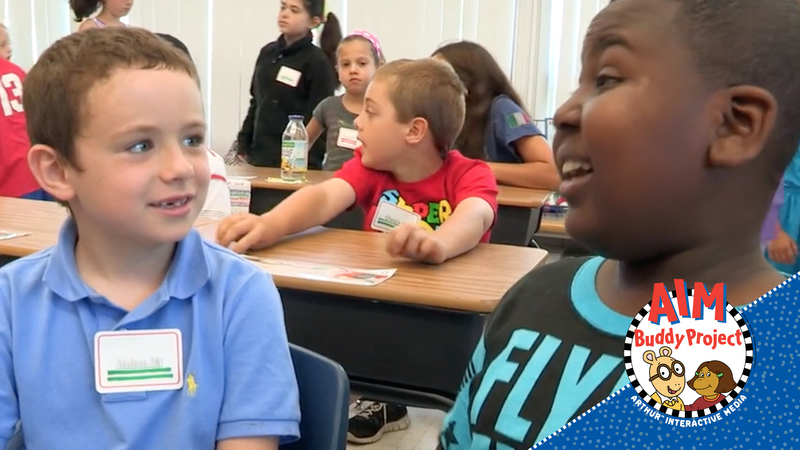 The findings thus far are a positive indicator that AIM program has resonated with students! Stay tuned for further analyses in upcoming posts! When researchers evaluate whether a program “works,” they look at outcomes produced, along with the processes and elements that influence their outcomes. The assessment of implementation fidelity has been highlighted as critical to understanding how programs are implemented and understanding how programs would operate in “real world” settings outside of research studies. Teachers perceived a positive impact on their students from AIM. The digital features were an innovative approach to navigating difficult topics. The cross-age buddies engagement heightened the experience. The AIM program was perceived a positive impact on their students. The program provided a uniques opportunity for teachers to collobratate across grades. Enjoyed engaging with the comics and games and working with their buddy. Attributed the program to helping them (Big Buddies) learn how to mentor and help others. 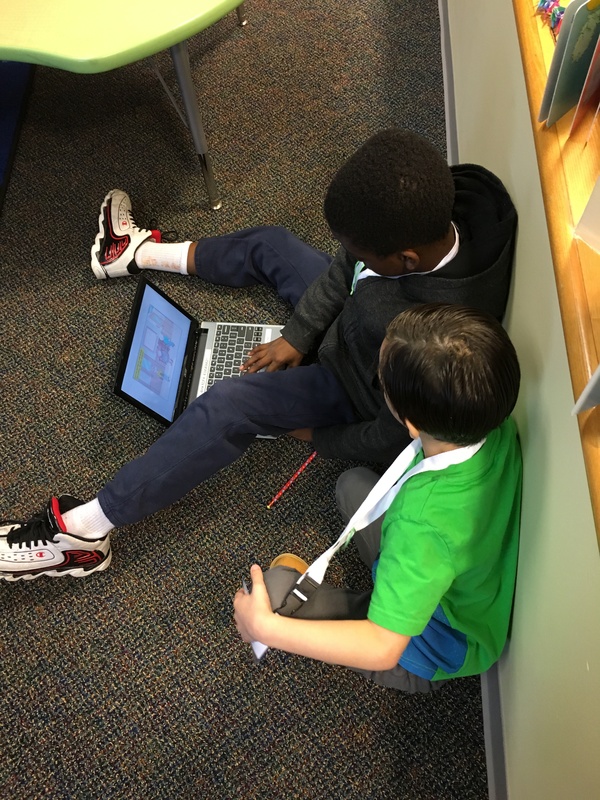 Reported that the comics and games helped them talk to their buddy and learn about the topics. 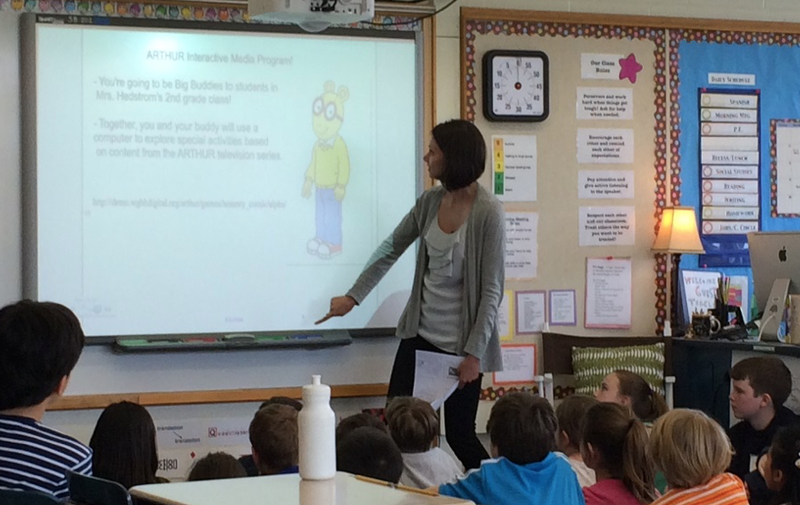 Teachers responded positively to the features, program content, and the supporting materials. Teachers and students reported enjoyment of and value in the AIM program experience. Stay tuned for more outcomes from the AIM Research Study! The AME conference focused on highlighting the challenges and innovations in civic engagement in formal education, including the significance of new media. 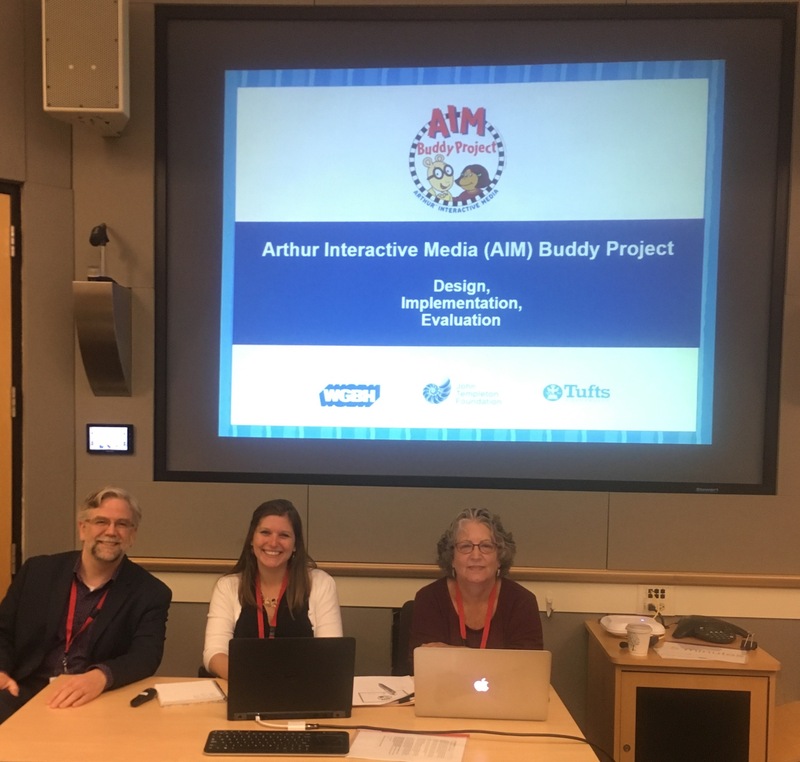 The AIM media presentation was conducted by a three-person panel representing the AIM Buddy Project partnership—WGBH Educational Foundation (Cyrisse Jaffee, Editorial Project Manager and Gentry Menzel, Senior Digital Producer) and Institute of Applied Research in Youth Development (IARYD) at Tufts University (Lacey Hilliard, Research Professor). The AIM team presented the design, implementation, and evaluation of the AIM materials while promoting the role of technology and interactive media as a powerful tool in helping support children’s character development, moral thinking, and social and emotional well-being. Gentry Menzel introduced the five interactive comics and game and the AIM program’s multi-phase development process. A focus was placed on specific components in the interactives that were developed to promote active engagement and thoughtful discussions from students. Cyrisse Jaffee described the AIM Buddy Project’s collaborative learning format as a central component to the AIM program and benefits this format can have on individual students, peer-relationships, and whole-school climate. And introduced the iterative development of the various program resources including the comprehensive Educator’s Guide, and Teacher Planning Videos. 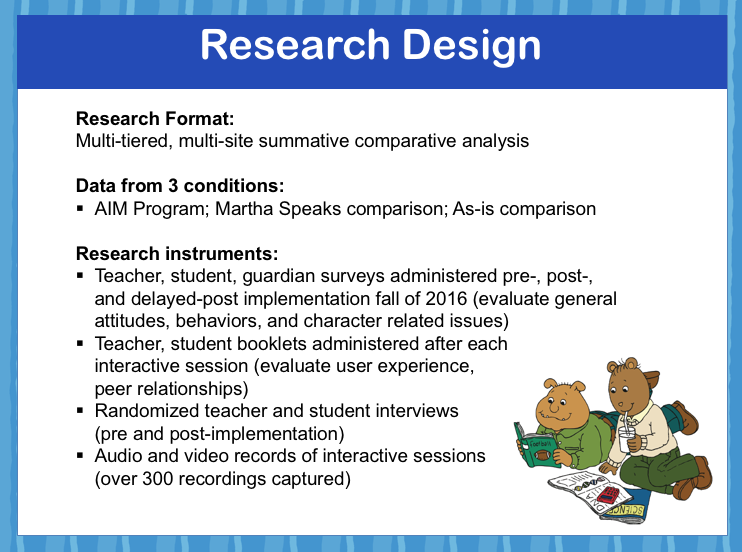 Lacey Hilliard, Research Professor (IARYD): reviewed the multi-tiered research methods, conditions, and instruments used in conducting the year-long research study and presented preliminary findings from the research analysis. Stay tuned for more information on the preliminary research findings and for information on the January 18, 2017 launch of the AIM Buddy Project! Learning to manage feelings is an essential task of growing up. In order to cope with and understand feelings — good and bad — children need to be able to recognize and talk about them. The good news is that it’s pretty easy to help kids do this: you just need to talk, talk, talk! Encourage your child to express his emotions, thoughts and experiences. As you listen and talk, you’re helping him develop emotional self-awareness while making him feel good about himself. Books and other media can also be powerful tools to help kids develop empathy. For the past 20 years, ARTHUR has offered kids (and families) advice and comfort, along with laughs and adventure. As Senior Executive Producer Carol Greenwald points out, “Whether it’s facing down a bully or worrying about a new teacher, Arthur and his friends manage to solve their dilemmas with imagination, kindness, and humor. The series builds a sense of empowerment for kids.” When kids watch ARTHUR, they not only gain a deeper understanding of problems and how to solve them but also begin to realize how their behavior affects others. This is what building empathy is all about. You probably think that an online game is not exactly a great way for kids to recognize, name and cope with their feelings. But wait! 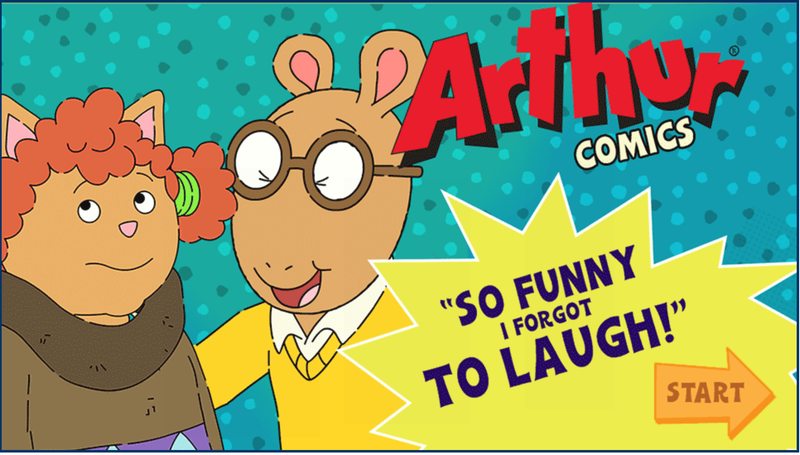 Check out the ARTHUR interactive comic “So Funny I Forgot to Laugh!” (based on an ARTHUR episode of the same name). The story has been specifically designed to show what empathy means, what it looks like, and why it’s important. When Arthur makes fun of his friend Sue Ellen, she doesn’t mind at first. But when Arthur doesn’t stop, she (and his other friends) shows him why his words and actions have become hurtful. It’s online. Children will like clicking through the story to find out what happens next. It’s read aloud (and voiced by the familiar ARTHUR characters), so kids don’t have to be expert readers to enjoy it. You can click to hear what the characters are thinking and feeling. This gives children “feelings” vocabulary to use. 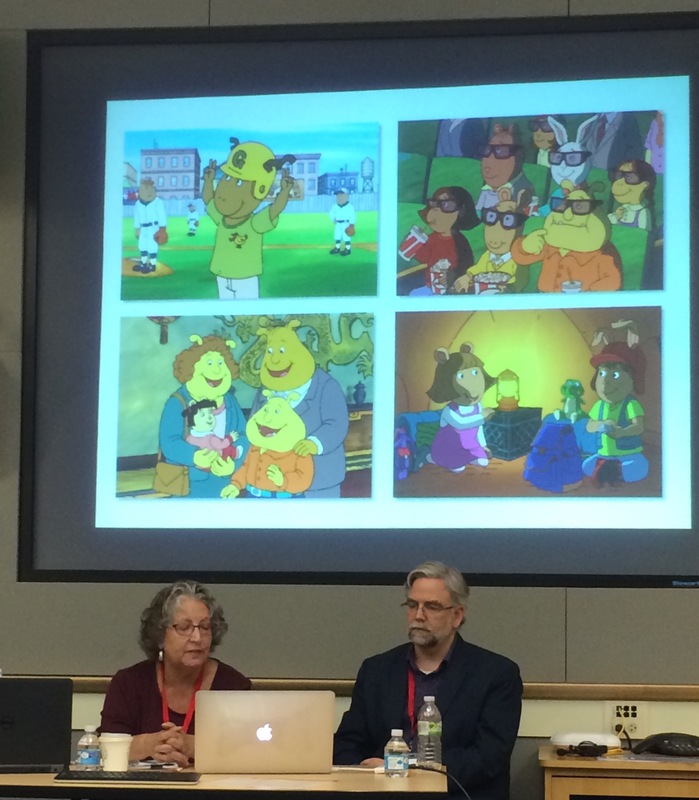 There are pause points throughout the story when kids are asked questions about the ARTHUR characters, their motivations, and their actions. These pause points are also perfect for starting or extending a conversation together. There are different endings to choose. Depending on what your child selects, the outcome of the story changes. (You can choose new endings as many times as you like.) This also helps you and your child reflect on the story and its meaning. For more ideas on using “So Funny I Forgot to Laugh!”, including handouts and activities, check out A Guide for Parents on the ARTHUR Family Health site. We all know books are critical for children’s language development, but they can also help kids understand others’ feelings and the importance of caring for others without even realizing it. 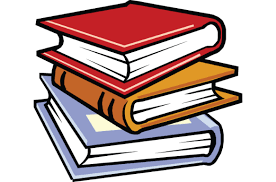 Below are just a few examples of books that accomplish this. As you read these books together, ask lots of questions, and talk about what is happening in the story and how the characters are feeling, just as you did with the interactive comic. Later, you may be able to refer to one of the stories in order to help your child through a difficult situation. “Feelings” by Aliki and “The Way I Feel” by Janan Cain help children identify and name their emotions. This makes it easier for children to find the words to talk about their feelings. Both Shirley Hughes’s “Alfie Lends a Hand” and Juanita Havill’s “Jamaica Tag-Along” have main characters who learn how to express empathy. At a boisterous birthday party, Alfie feels overwhelmed. But when he realizes that little Min is also scared, he gives up his beloved blanket so he can comfort her. Jamaica is upset when her older brother doesn’t want her to play with him and his friends. But after she treats a younger boy the same way, Jamaica recognizes her behavior and changes. In “Crow Boy” by Taro Yashima, “One Hundred Dresses” by Eleanor Estes, and “Each Kindness” by Jacqueline Woodson, children at school learn about how name-calling, teasing and excluding others — especially those who are different — is hurtful. In “What Does It Mean to Be Kind,” Rana DiOrio explores the many ways kids can treat others with care and concern. Want more? Check with your local librarian for additional suggestions. Whether it’s TV, books or games, media — when used thoughtfully and purposefully — these can be wonderful tools to help you guide, teach and connect with your children. Cyrisse Jaffee has developed educational materials for many other children’s shows during the past 20 years in the WGBH Educational Department. She holds a Master’s of Library Science from Simmons College and reviews children’s and young adult books for the Horn Book Guide. Having fun certainly wasn’t hard at the Boston Public Library (BPL) on October 1st where kids of all ages gathered to celebrate Arthur’s 20th anniversary year of broadcasting on PBS KIDS. The festive event was held at WGBH’s satellite studio located in the BPL’s newly renovated Copley Square location. The studio launch–a joint effort between the Boston Public Library and WGBH (Boston’s public broadcaster)–will provide greater access to WGBH’s quality programming, and extend WGBH’s educational efforts into the heart of the city of Boston. 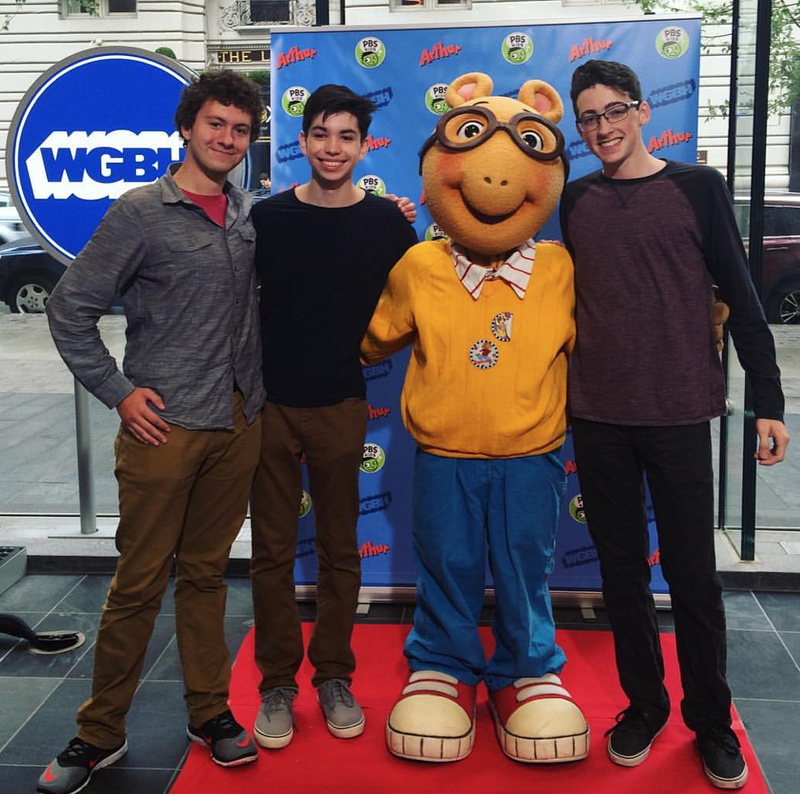 The atmosphere was bustling with activity as kids buzzed around the lobby coloring pictures of the Arthur characters and munched on Arthur cookies as they waited for their favorite characters–Arthur and Buster–to make their red carpet appearance. 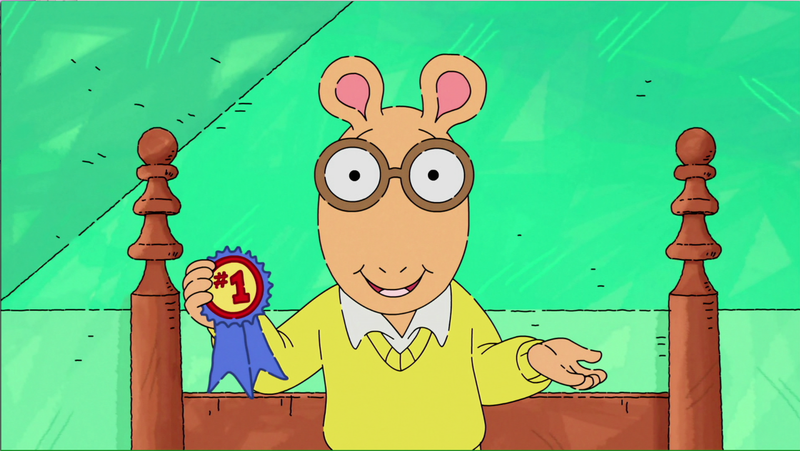 Episodes from past seasons played throughout the morning and filled the studio with the happily familiar Arthur theme song. 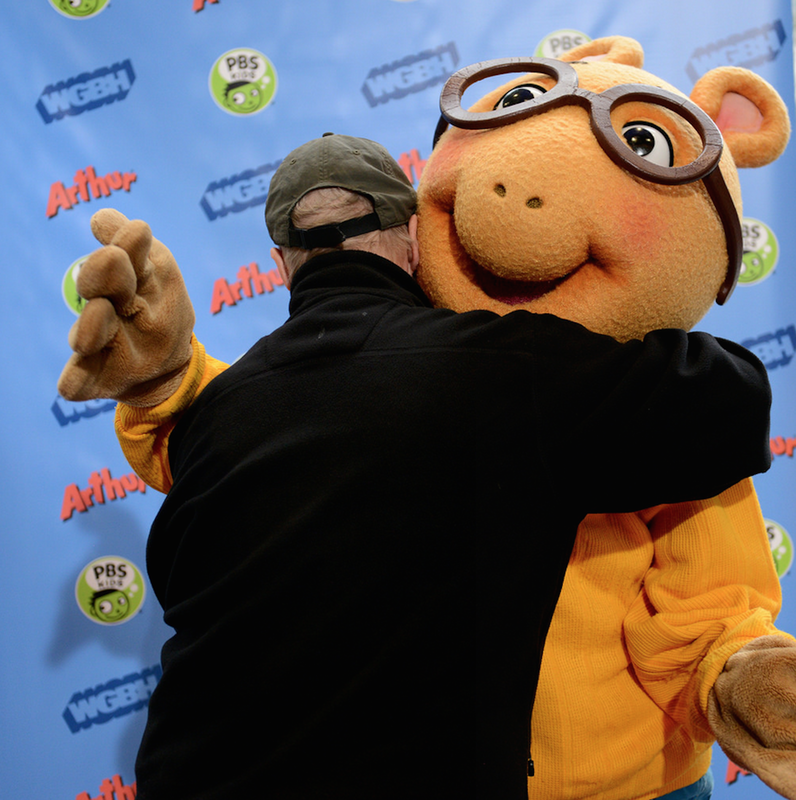 The outpouring of love and enthusiasm for the Arthur show and its characters was overwhelmingly clear, and the Arthur team could not have picked a better location to celebrate 20 successful years broadcasting the beloved Boston-based production. 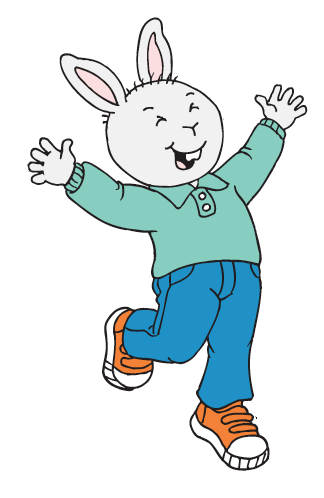 For two decades, Arthur has entertained and touched millions of children and their families with its heartfelt and humorous stories about family, friends, and the challenges of growing up. This October, Arthur is celebrating its 20th anniversary season—that’s twenty years of helping children learn how to tackle the challenges of childhood with kindness, empathy, and respect for self and others! 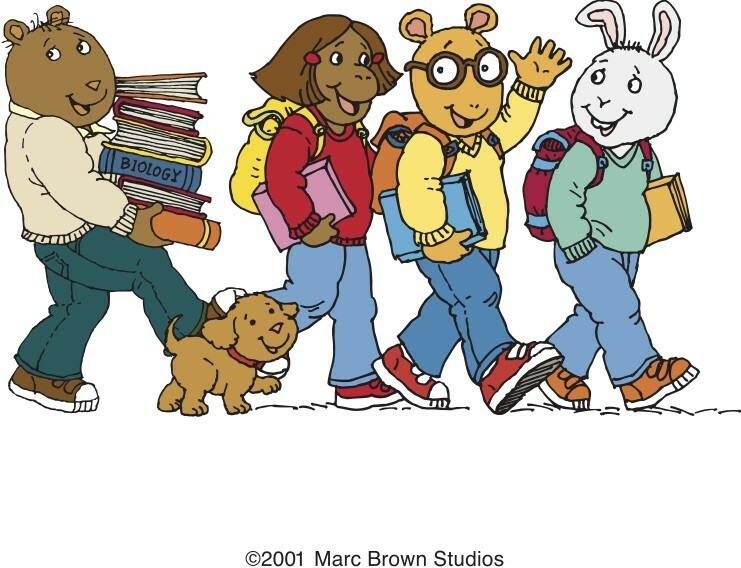 Arthur has made a lasting impact on television (with over 7 million viewers per month last season) and in classrooms, too (with more than 2.8 million Arthur guides and materials delivered to educators). And next year with the new episodes of Arthur and the dissemination of AIM Buddy Project curriculum, parents, children, and educators all over the world (in 80 countries!) 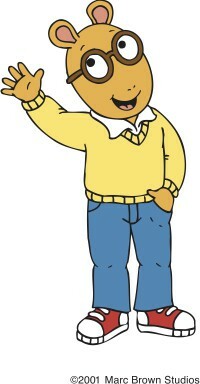 will continue to feel the influence and impact of Arthur and his friends. In our new season, Arthur stays true to the tradition of tackling tough issues that kids face every day. With episodes about telling the truth to your friends and being responsible for taking care of a pet, the newest season of Arthur continues to provide positive messages and lessons for young viewers. In addition to brand new episodes, Arthur has lots of exclusive online content to celebrate 20 years on the air. You can find it all on the Arthur website along with fun and engaging digital games, videos, and activities for kids, resources for parents at PBS Parents, as well as a host of kid- and adult-friendly pediatric health resources on the Arthur Family Health website. On May 29, 2017, join us as we hang around with Arthur and his friends for a one-hour special that will cap off the season with adventure, time-travel, and the most exciting event of all – D.W.’s fifth birthday party! 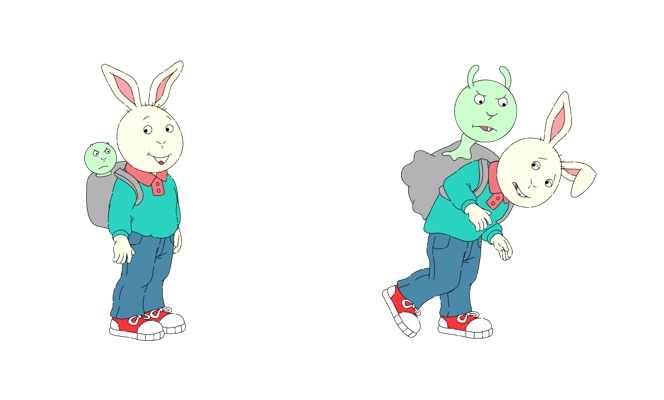 But until then, click here and get a glimpse of 20 years of Arthur and his friends! 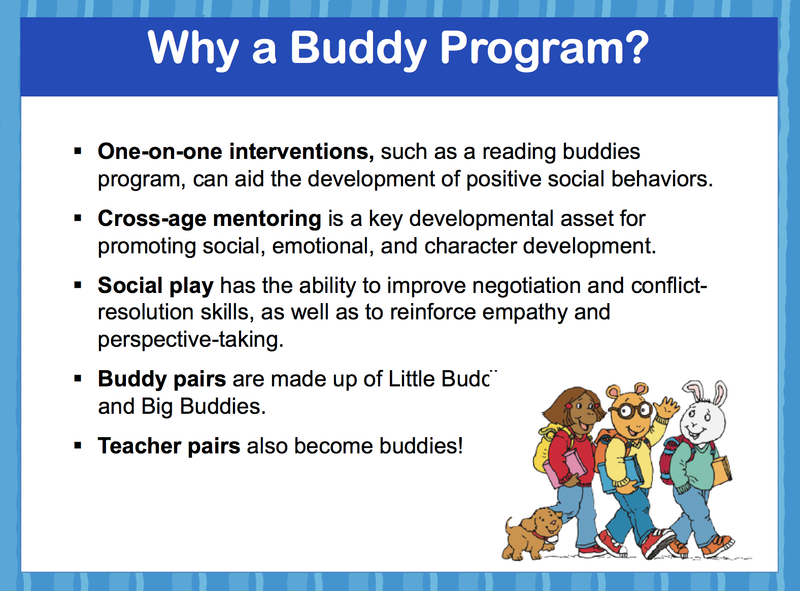 The AIM Buddy Project research study was conducted throughout the 2015–2016 school year. A team of researchers collected data in schools using a variety of research instruments, including student and teacher surveys, interviews, and curriculum booklets. But data collection is only the first step in carrying out a comprehensive research study. Since the end of the sch ool year, researchers have been analyzing the collected data—and from their perspective, this is the fun part of their job! They watched collected videos of student pairs interacting with the comics and games: “Francine’s Tough Day” (honesty);“Buster’s Growing Grudge” (forgiveness); “Arthur’s Giving and Keeping Game”; (generosity), and “Dear Adil” (learning from others). They collectively compared notes from each video to identify patterns emerging across user behavior. While reviewing the video data, patterns began emerging, such as many of the interactive functions within the comics or games resulted in active engagement and positive reactions among student pairs. For example, in “Buster’s Growing Grudge” students reacted positively to using the grudge gremlin as a symbol representing the consequences of holding a grudge. Students showed an understanding of Buster’s forgiveness, or lack of forgiveness, as the grudge gremlin changed in size and appearance. Patterns such as this may be presented as recommendations for inclusion in the final round of the AIM program revisions. Another example was that students reacted more strongly to the comics than to the interactive games because of the narrative or storyline that carried through the comic. 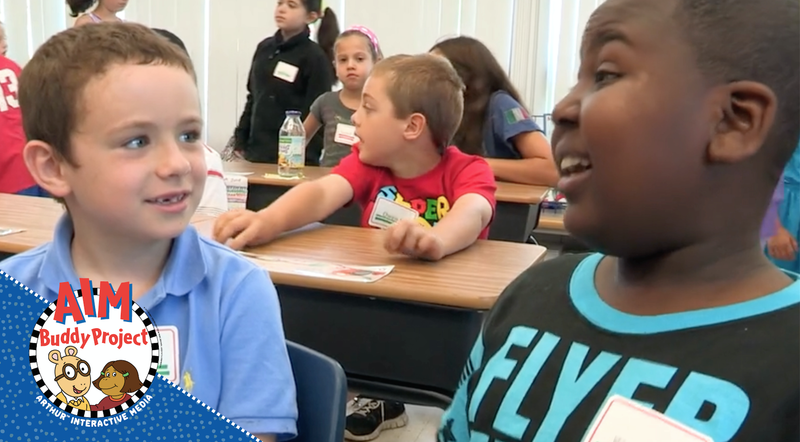 It’s no surprise that students are emphasizing one of the things that has made ARTHUR a friend to millions for the past 20 years—that great storytelling is captivating and engaging, and when used in the classroom, it can be a powerful learning tool. The full dissemination of the AIM Buddy Project is scheduled for January 2017. The final revision stage is ongoing until that time as the WGBH media team incorporates feedback and recommendations from the research team in order to strengthen the efficacy and user-experience of the AIM Buddy Project before it is used in classrooms. Stay tuned for more about the AIM research study!